GOKPOP | Exclusive K-News in Malaysia & Singapore: Spotify's Teen Party Playlist - BLACKPINK's Favourite Tracks Curated Specially for BLINKs! Spotify's Teen Party Playlist - BLACKPINK's Favourite Tracks Curated Specially for BLINKs! ‘Kill This Love’, BLACKPINK’s highly anticipated mini-album launches today and fans who want a little more of their favorite girl supergroup need to head over to Spotify. BLACKPINK fans - more affectionately known as BLINKS - will be happy to know that Spotify is stocked up on special content from the band. 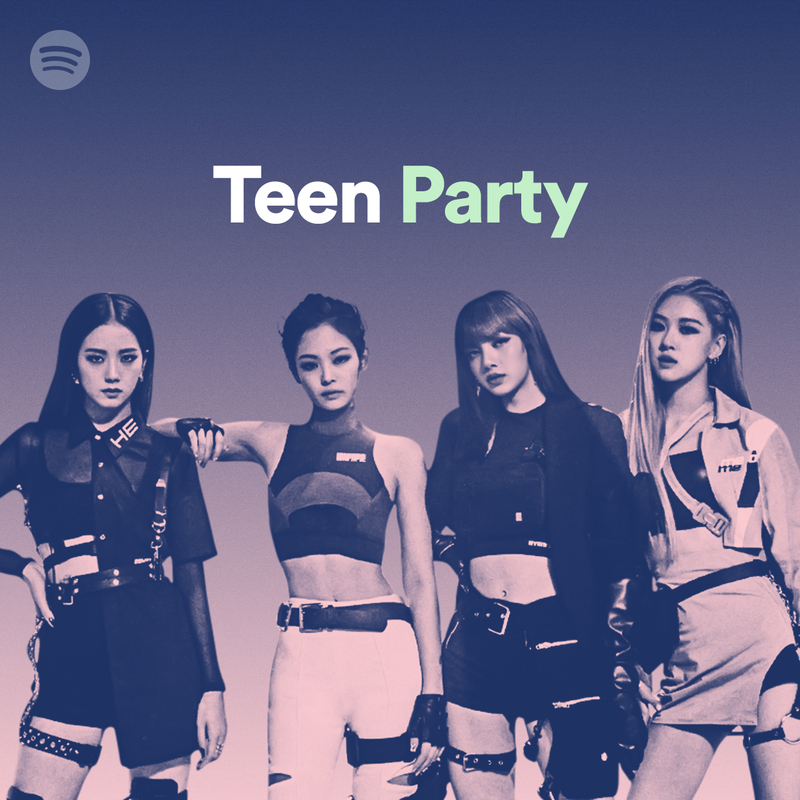 In addition to the new release - the band’s first comeback since the release of their worldwide hit single “DDU-DU DDU-DU” in June 2018 - BLACKPINK is also launching a special global takeover of Spotify’s Teen Party playlist, which will be available for the next seven days. Commandeering the playlist with their most-favourite tracks around the world, their handpicked selection includes music from (Surprise, surprise!) Ariana Grande, Billie Eilish and so much more. For a BLACKPINK crash course (Firstly, where have you been?! ), they’re just the world’s biggest K-Pop girl group by many accounts. Based on Spotify’s 2018 Wrapped data, they are the most streamed K-Pop girl group on Spotify globally (and in Malaysia! ), with over 9.7 million global monthly listeners. In fact, entire countries have listened to their music - their track “Kiss and Make Up”, a collaboration with English singer-songwriter Dua Lipa, has raked over 202 million streams, while their superhit “DDU-DU DDU-DU” has more than 149 million streams. The band is also set to be the first-ever K-Pop girl group to perform at the legendary Coachella Music Festival this April. Are you an absolute fan of K-pop? Be sure to follow @SpotifyKDaebak, our dedicated K-Pop channel on Twitter, for more exciting BLACKPINK treats to come!